Oh my! This is so lovely and not a fragrance I’ve explored before – turns out to be the most beautiful combination. It reminds me of Danish spiced biscuits so I have in burning away in my kitchen because it seems the right place for it while I’m taking advent calendar pictures, but the scent is already trailing through to my office. The official notes listed are cinnamon leaf, nutmeg, orange, tangerine, brandy, clove, jasmine, amber, patchouli, sandalwood and vanilla although I’d never be able to pick most of them out individually. I do get both cinnamon and orange in spades though and it’s deliciously spicy and fruity. 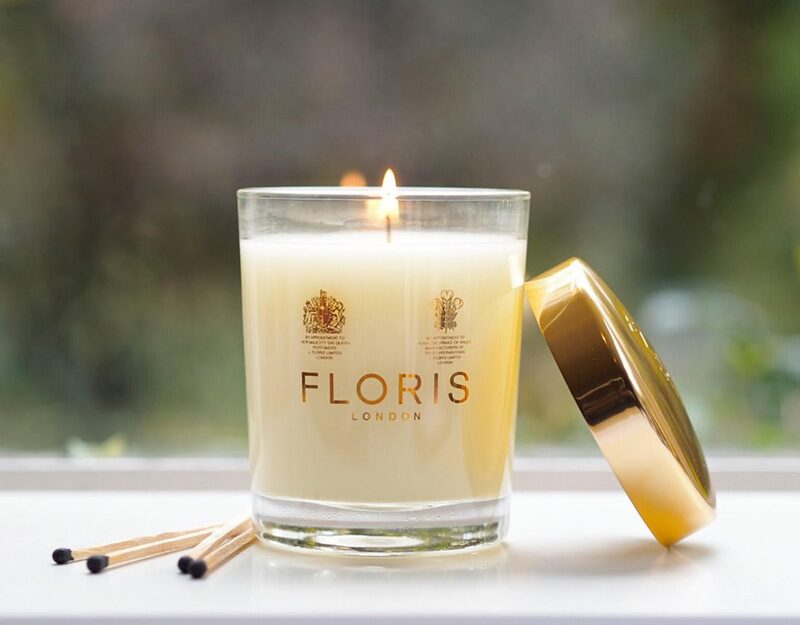 If you’re starting to think about your Christmas candle this year, I’d definitely recommend putting this one in the mix – it hasn’t disappointed on any level at all. 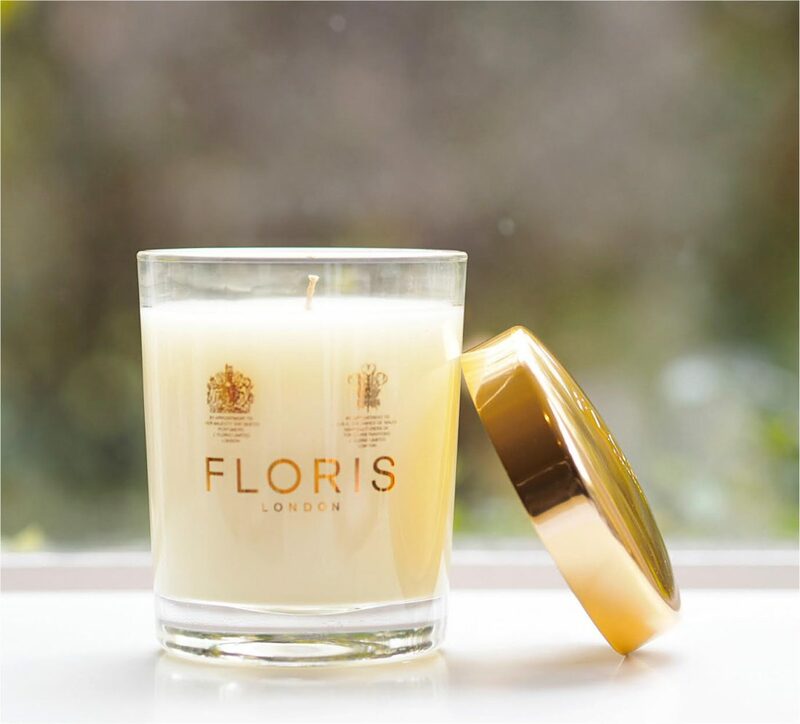 The throw is great, the scent is evocative and heart-warming and it’s making me want to rustle up a batch of spiced cookies. It’s not overtly sweet, by the way, but cinnamon, brandy and orange certainly get your taste buds perking up. 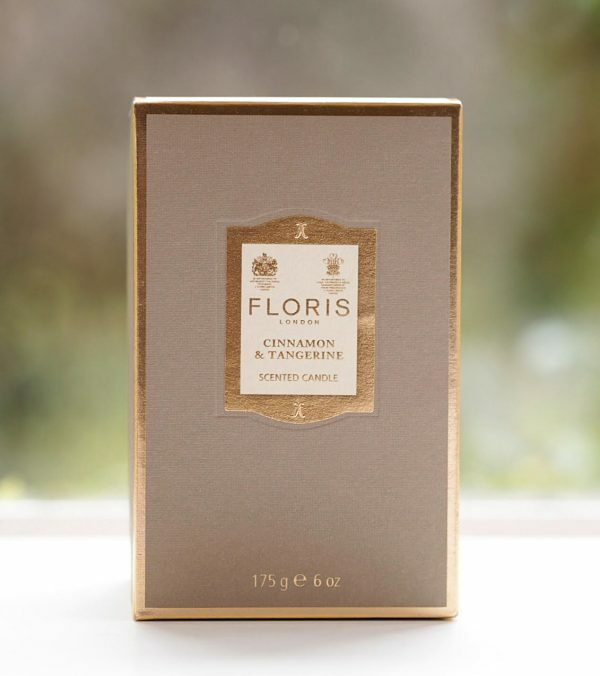 Floris Cinnamon & Tangerine Candle is £40 HERE and has a burn time of approximately 35 hours.